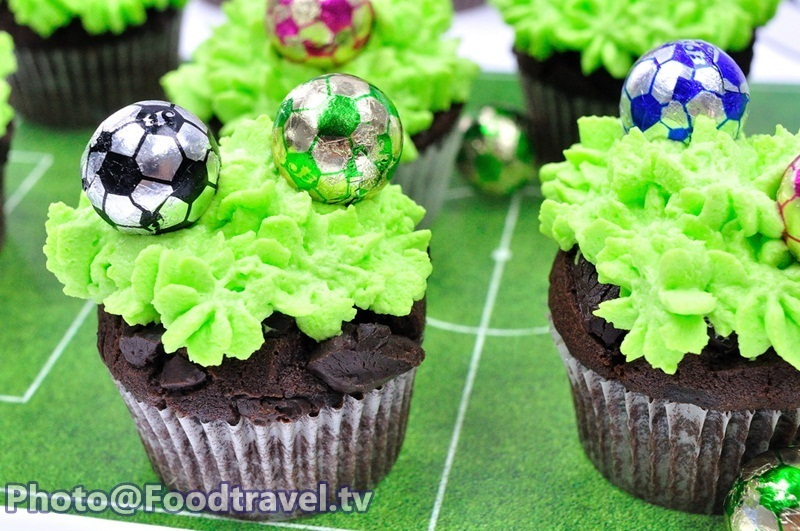 World Cup Cupcake - It's time for football season! 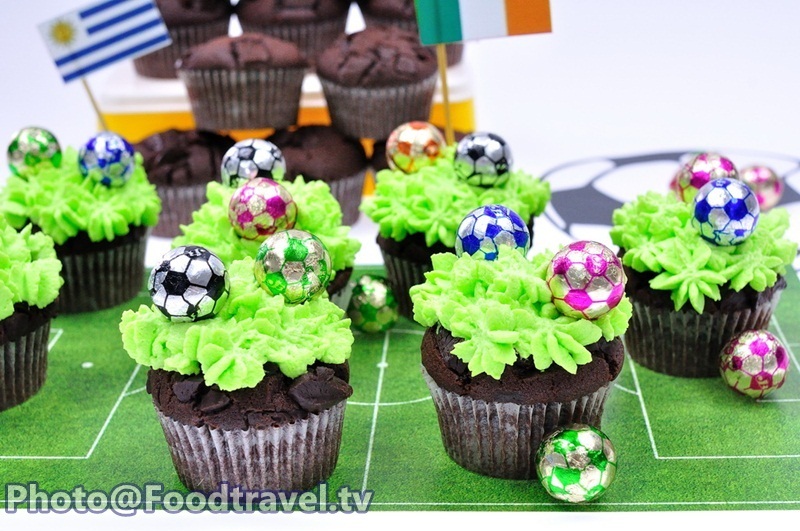 Foodtravel.TV never misses to recommend you some great delicious and easy dessert like ‘World Cup Cupcake’. 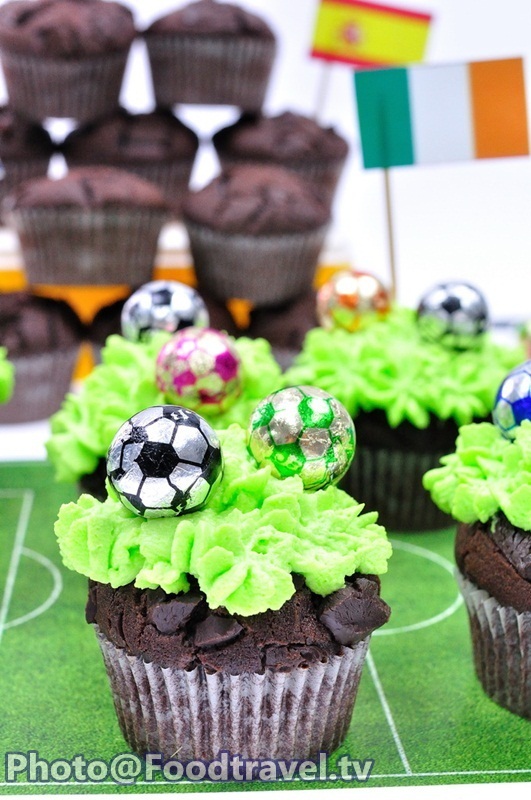 With dark chocolate, green cream and cute little chocolate ball. 2. Beat the butter with brown sugar. Then add egg, vanilla and stir to combine. 3. Add cocoa powder, baking powder and sifted cake flour. Stir to combine and put in piping bag. 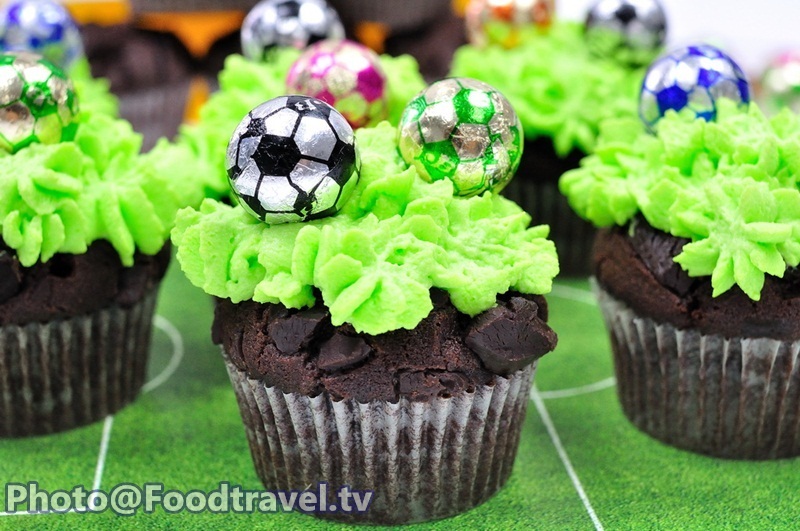 Then squeeze on cupcake (alternate with dark chocolate). Bake at 180 degrees for 15-20 minutes until cook and set aside. 4. 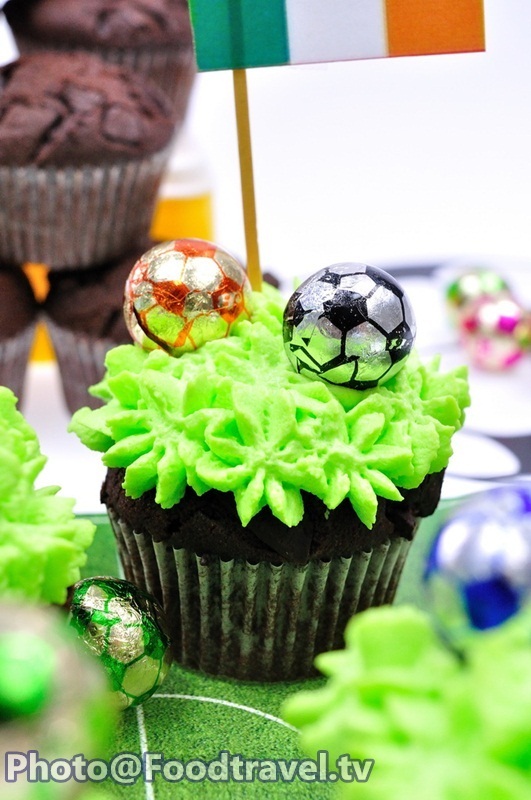 Mix fresh cream, icing sugar with green food coloring. 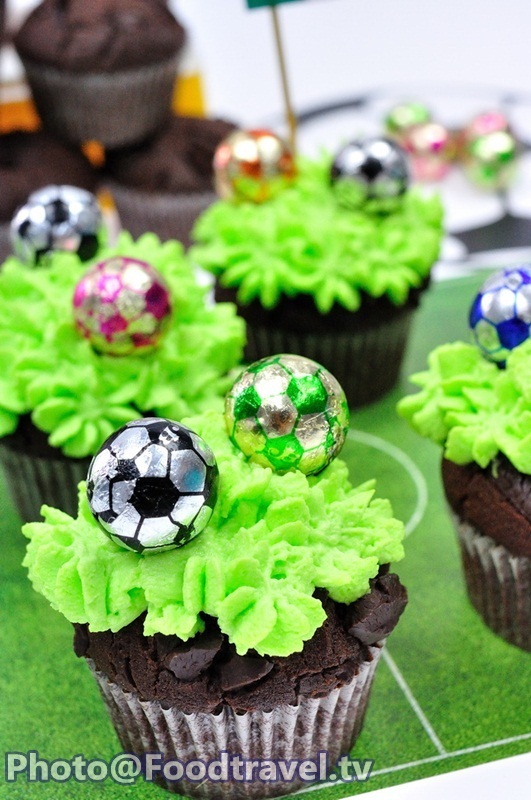 Beat until fluffy and decorate on cupcake. Ready to serve. 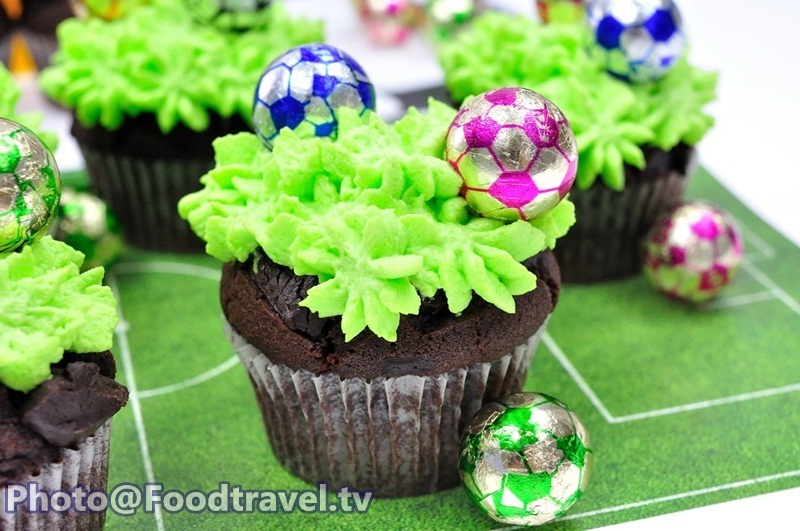 World Cup Cupcake - Its time for football season! 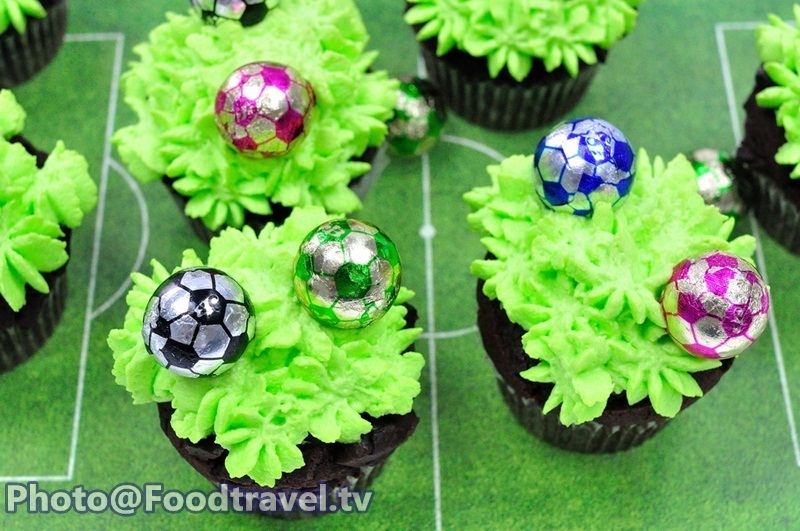 Foodtravel.TV never misses to recommend you some great delicious and easy dessert like ‘World Cup Cupcake’. 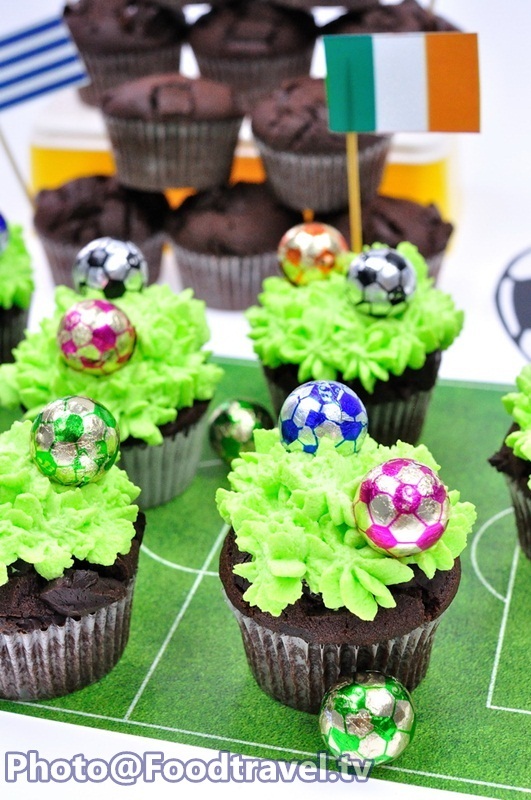 With dark chocolate, green cream and cute little chocolate ball.